Why Do People Use Goldenrod? The oral preparations of Solidago virgaurea (Goldenrod), such as goldenrod powder, are used for a number of purposes. For instance, it is used as an antispasmodic, anti-inflammatory agent, as a diuretic, for rheumatism, gout, eczema, arthritis, and other skin conditions. 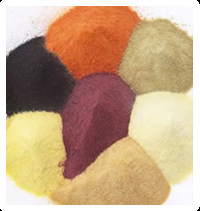 Other benefits of oral usage of goldenrod powder are for the treatment of acute exacerbations of pulmonary tuberculosis, for liver enlargement, diabetes, prostatic hypertrophy, internal bleeding, hemorrhoids, asthma and allergic rhinitis. It is also utilized as an irrigation therapy where it is taken with abundant amounts of water to enhance the urine flow for the treatment of inflammatory diseases of the urinary calculi, lower urinary tract infection and kidney stones. As an irrigation therapy, it is also considered effective in the prophylaxis for kidney stones and urinary calculi. Topical applications of Solidago virgaurea are used externally for poorly healing wounds and as a mouth rinse for inflammation of the mouth and throat. There is scarce authentic information available regarding the effectiveness of goldenrod powder. Breastfeeding and Pregnant Females - Goldenrod should be avoided by those women who are pregnant or going through breastfeeding because there is inadequate information available to prove the safety of goldenrod in these conditions. Regarding the effectiveness of goldenrod, there is scarce information available. The most effective parts of Solidago virgaurea are its aerial parts. Goldenrod is considered as an aquaretic, which is a constituent that boosts up the urine volume (water loss) but there is no electrolyte excretion. The aquaretic and anti-inflammatory effects of goldenrod maybe because of its flavonoid and saponin constituents. Goldenrod may also have bacteriostatic effects. What Are The Side Effects /Adverse Reactions of Goldenrod? There are some side effects reported due to oral consumption of goldenrod, which include allergic reaction in people sensitive to the Compositae or Asteraceae family of plants. Members of this family are daisies, marigolds, chrysanthemums, ragweed and some other herbs as well. How Goldenrod Interacts With Other Herbs and Supplements? There are no know interaction between goldenrod powder and various supplements & herbs. How Goldenrod Interacts With Drugs? Diuretic Drugs - Interaction rating between Solidago virgaurea and diuretic drugs is minor, so be cautious about this combination. Goldenrod may exacerbate the therapeutic and adverse outcomes of diuretic therapy. How Goldenrod Interacts With Foods? There is no known interaction between the combination of goldenrod powder and various food items. How Goldenrod Interacts With Lab Tests? Goldenrod may not interact with various lab tests and doesn’t seem to show undesired results. How Goldenrod Interacts With Diseases and Conditions? Cross-Allergenicity - Since it belongs to Compositae or Asteraceae family of plants, goldenrod may cause allergic reactions in individuals sensitive to this plant family. Members of this family are daisies, marigolds, ragweed, chrysanthemums and many other herbs as well. Edema Caused by Kidney or Heart Conditions - It is also utilized as irrigation therapy where it is taken with abundant amounts of water to enhance the urine flow. Hypertension - Combination of goldenrod and hypertension may enhance the sodium retention and even cause severe hypertension. Urinary Tract Infections (UTIs) - Herbal irrigation therapy can be inadequate and demand the addition of antibacterial agent. So be cautious while observing the results of Irrigation therapy. What Should Be the Dose/Administration of Goldenrod? ORAL • Typically, goldenrod is used as one cup of tea, for 2-4 times in between meals. Such tea is made by steeping 1-2 teaspoons of dried herb (3 to 5 grams) in 150 mL boiling water for consecutively 5-10 minutes and then straining the solution. The general dose ranges from 6 to 12 grams daily. • In form of water extract, with ratio 1:1 in 25% concentrated ethanol, it should be taken within the range from 0.5 to 2 mL two to three times in a whole day. • The general dosage of the tincture, with ratio of 1:5 in concentrated 45% ethanol, is 0.5 to 1 mL 2-3 times in whole day. For this dosage of goldenrod patient should drink plenty of water (at least 2 liters in whole day). Do not mix mullein (Verbascum densiflorum, also stated to as goldenrod). Canadian goldenrod, European goldenrod, and Early goldenrod are utilized as substitute of each other.